If your student is returning to U-M in the fall, sometimes it's easier to store personal furnishings and accessories in Ann Arbor over the summer, rather than try to carry it back home or ship it. There is no space in the residence halls or apartments, however, for personal property storage. A university-contracted vendor, John's Pack & Ship, is one of several commercial sources for personal property storage. Donations are a great way to let others reuse items that students don’t want, can’t believe they own, or simply don’t have room for in the car. 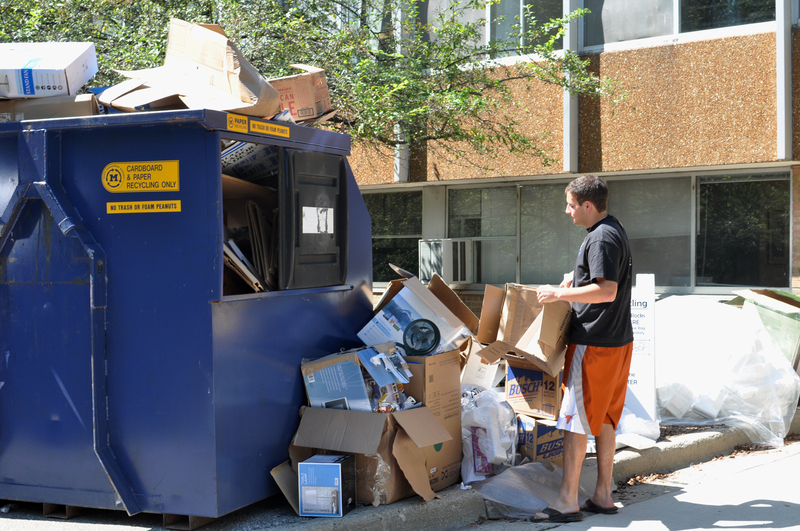 Waste Management Services will place collection boxes in several campus buildings, including the Union and Pierpont Commons, for student donations. The City of Ann Arbor Public Services also offers a free drop-off location for bagged refuse, discarded furniture, as well as donations of clothing, furniture, appliances and non-perishable food items from off-campus students. On April 25 there will be a free E-Waste Recycling event in Ann Arbor. This is an opportunity to safely and responsibly dispose of old computers, printers, phones or other electronic devices.